Every once in a while you run across a book that challenges they way you think. It changes how you view life, your business and/or the status quo. 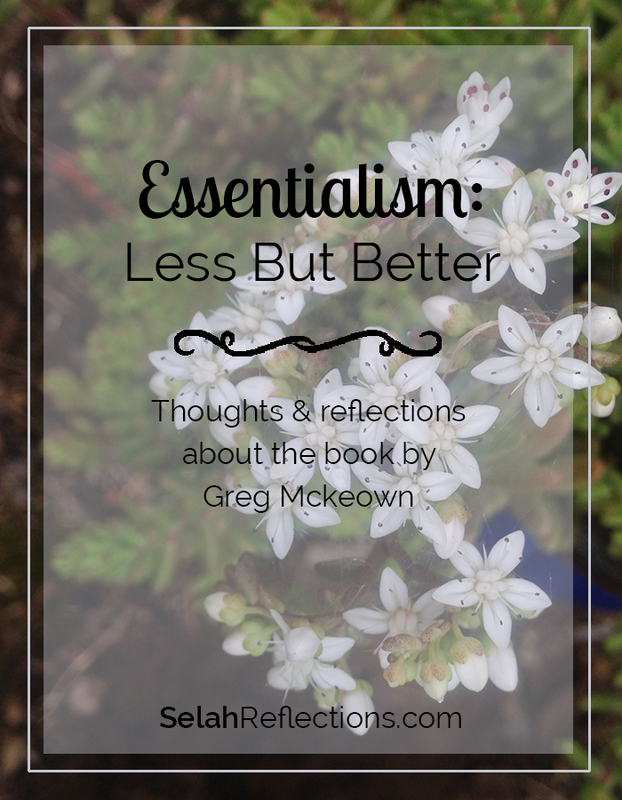 The book Essentialism has done that to me. I mentioned this book a couple of weeks ago when I talked about Personal Quarterly Reviews. Well over the Memorial Day Weekend I devoured the rest of the book. It is one of those books that you realize that God brought into your life for a specific reason. That there was a particular lesson I needed to learn. This book held so many nuggets, if it hadn’t been a library book it would have been highlighted and underlined like crazy. So yeah I went ahead and got my own copy so I can go back and make more notes, and highlight points I want to remember. As an entrepreneur I discovered that I have multiple interests, and I mean multiple, a lot, mucho lots and it can be hard for me to focus on just a few goals, I want to do it all, now. I’m an idea person. I love hearing them, coming up with them, researching them… I love learning and the trial and error of figuring something out. It’s fun, challenging and feeds my curiosity. To make matter worse… I’m a people pleaser. Even though I have all sorts of things on my to-do list, when someone needs help I will almost always automatically ask “How can I help”. Many times realizing later that I really do not have the time. So I stay up late, lose sleep to get it all done or get it all done but not nearly as well as I would have liked. Have you ever run into a scenario like this? It’s a new way of thinking, making decisions, and mindset. It’s about creating a filter through which you run a purchase, hiring decision, next project and commitments through. It’s about clarity of purpose, of making sure that your schedule aligns with your values and your priorities. It’s about learning to say “no” or “let me get back to you” as an automatic answer instead of saying yes, which is the default answer most of us have. When you create a filter, you have a list of questions that decisions need to be funneled through. You can focus on and go big on the truly important projects. You free up time for family since you are not working until all hours of the night on trivial non-essential tasks and project. You create time to be present instead of rushing to the next event or appointment. You will reach your goals faster by keeping distractions at bay. You will be in control of your schedule instead of feeling like someone else (like your clients!)is. First – you have to start by looking at your values and priorities. 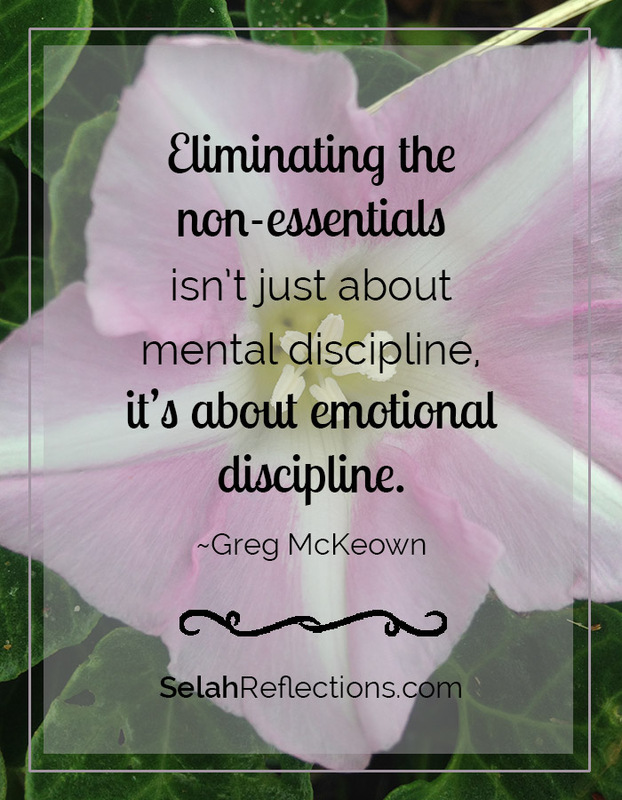 Are they in alignment with your values and priorities? Are they realistic and measurable? Are your due dates too aggressive? Not aggressive enough? My strategic plans look a little laughable at times. At the beginning I’m excited. I can see it all happening, but a few weeks in I’m already off track. I have not set realistic goals, I’m focusing on non-essentials and my vital few are really the vital many. Here some started questions to think about as you make the daily decisions like client requests, scheduling commitments, purchases etc. Current Projects – are there too many on my plate? Does this project / opportunity / purchase help me reach my goals or is it a bright shiny object to distract me? This course or product I’m looking to buy, do I have time to use it now or will it sit on the shelf gathering dust as I get busy and forget about it? If I weren’t already invested (time, money, effort…) in this project would I want to invest in it now? Will this project / event / opportunity take me away from my family more than it should? On a scale of 1-10 how passionate am I about this project? I know it can. It has already helped me this week. I have been reviewing my goals and what I would like to accomplish in the next 90 days and in 2015 (both professionally and personally) and ran my project list through these questions. Right away I had some clarity on what needs to be on my vital few list, it’s now a much shorter list. To see and understand which projects need to be taken on now and not later. This is a new way of thinking. So I know in the days to come it won’t always be easy. I will still encounter bright shiny objects that distract me, but by using a decision-making filter, the distractions will be of shorter duration and help me get back on track. So, do you know what your vital few are?